“Dr. Alejandro did surgery on my upper brows with fantastic results. My eyes went from looking like a 60 year old to looking like a 20 year old.” — Catherine C.
The eyebrows play a significant role in an individual’s appearance. As we age, creases form on the forehead and unattractive lines develop over the years due to frowning. 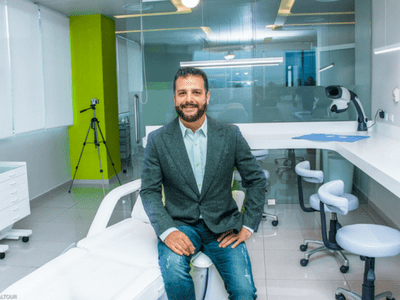 Inside the eláen Plastic Surgery and Hair Transplant Center, expert plastic surgeon, Dr. Alejandro Enriquez de Rivera Campero, performs cosmetic Browlift Surgery in Mexico to reverse the aging process and lessen creases that form on the forehead. The surgery is also used for the repositioning of sagging eyebrows. As one of the most experienced facial plastic surgeons in Mexico, Dr. Alejandro has helped hundreds of patients achieve a more youthful, natural-looking appearance by combining brow surgery with Facelift Mexico and/or Eyelid Lift Mexico. 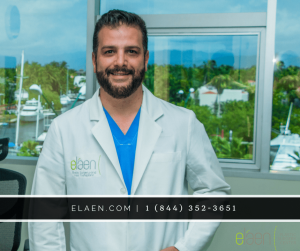 With a dedicated team at eláen — combined with pure artistic talent, Dr. Alejandro tailors his approach to plastic surgery on an individual basis. Browlift Surgery in Mexico reverses the persistent effects of gravity and constricts the soft tissues of the forehead to restore a more youthful outline to the forehead skin, upper eyelids and eyebrows. Traditional plastic surgery procedures in the United States that are implemented to elevate facial features, including the eyebrows or eyelids typically involve large incisions — from ear to ear with extensive surgery and post-surgery recovery periods. For our team here at eláen, this is the technique of the past. Patients often developed redness, irritation, loss of hair and at times — the temporary loss of sensation to the forehead and scalp. Browlift Surgery at eláen Plastic Surgery and Hair Transplant Center, is a modern brow lifting technique achieved with the use of twilight sedation. What is Twilight Sedation? Twilight Sedation is an anesthetic technique where a mild dose of general anesthesia is applied to induce anxiety relief, hypnosis, and amnesia. The patient is not unconscious, but comfortably sedated and breathing on their own. Unlike most plastic surgery clinics in the USA, our procedure is minimally invasive, involves the use of an endoscopic camera and only 3 tiny incisions. Most notably, eláen patients are extremely satisfied with the results and hidden scars. Before Browlift Surgery in Mexico takes places, Dr. Alejandro takes into account the patient’s anatomy, their overall goals, and the extent of the corrections required to achieve the desired outcomes. To ensure that your results are characteristic of your aesthetic preferences and physical features, Dr. Alejandro uses 3 tiny puncture-type incisions in the hairline. The endoscopic camera helps guide him in weakening the muscle structure that ultimately produce the unwarranted frown lines you often see in the mirror — and relocates the eyebrows to a elevated level. He only removes what is necessary to make a natural appearance. Following Browlift Surgery Mexico, patients generally experience slight discomfort and tightness — with little to no pain in most cases. Bruising and swelling may occur after 1 to 2 weeks. Patients are advised to keep their heads elevated, as well as apply cold compresses to reduce the swelling that is associated with the procedure. Symptoms typically subside by the end of the second week post-surgery. Are you interested in having plastic surgery in Mexico? 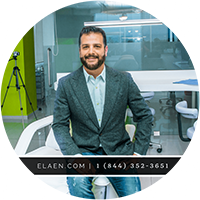 At eláen Plastic Surgery and Hair Transplant Center, we provide a caring atmosphere that sets us apart from the rest. After your initial consultation and evaluation, you’ll receive personalized surgical recommendations tailored to your cosmetic needs. Dr. Alejandro is committed to making your plastic surgery experience at eláen a success to give you complete gratification.